This chess set is unusual chess if you see by its color. The ordinary chess colored in black and brown, but this chess set colored in dark green and red. The different color of chess pieces may bring you to different atmosphere when you playing chess game. Kids and teenagers love this type of chess. Designed in different color and size than ordinary chess pieces, will make the game more attractive. 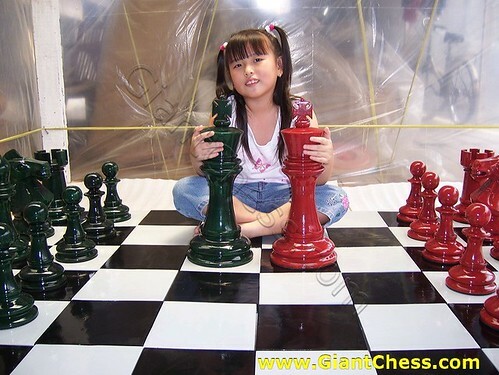 You can also get other colors are brighter, or you can also order your own color that you like for your chess pieces. Despite it's painted colorful, but the basic material of these pieces still using teak wood. We believe that the only best wood for chess pieces is Teak wood, because it has known as the strongest wood in the world. Durable for indoor and outdoor use in any seasons.